You not only get 1 or 2 types of herbs, but 6 types of best herbs in one capsule. 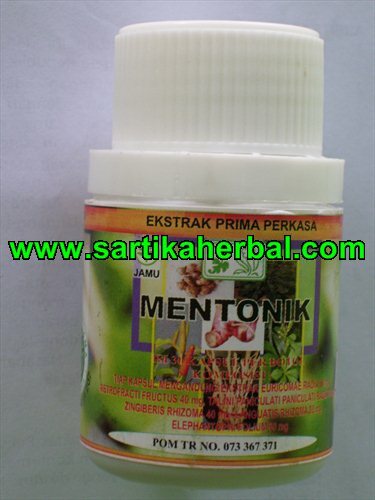 Herbs for men Extract Mentonik is a pure herbal extract product, without any other ingredients. For a long time in Indonesia, this herbal formulation has been specified Herbs for men : increase men's vitality and stamina, natural treatment for ED. Even for Tongkat Ali is very popular in the world. Many customers are satisfied with Herbs for men Extract Mentonik. Eurycoma longifolia radix (Tongkat Ali). Talini paniculati radix (Som Jawa). Herbs for men Extract Mentonik increase men's vitality and stamina, natural treatment for ED.